This advertising poster features the redesigned packaging and the information displayed on the front and back sides. 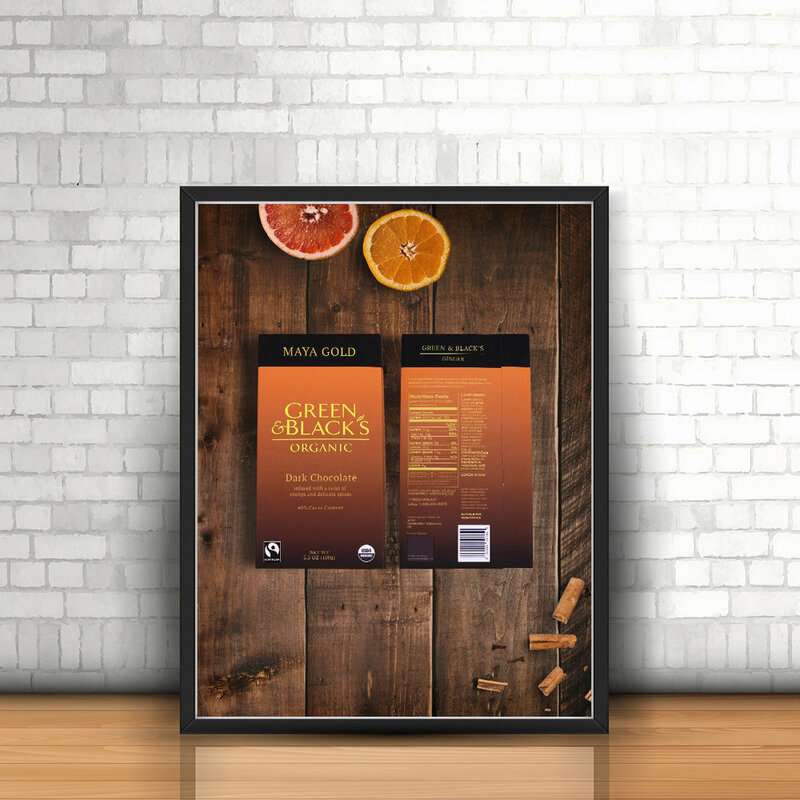 The photograph is accented with orange slices and cinnamon sticks, some of the natural ingredients added to the Maya Gold chocolate bar. Maya Gold was the first chocolate in the U.K to be awarded the Fairtrade mark.